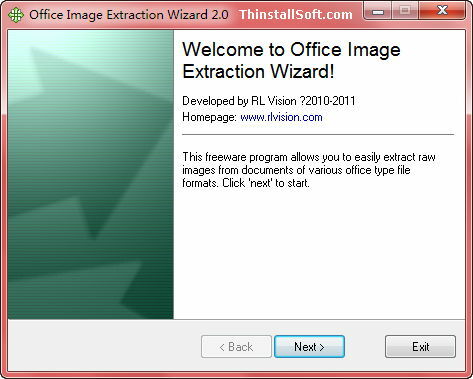 Office Image Extraction Wizard is a freeware to extract images from office documents including Microsoft Office, OpenOffice.org, Electronic Publication Books or Comic Book Archive. Office Image Extraction Wizard could get the original images from documents without quality loss. It is also very convenient to batch extract images. This entry was posted in Office & PDF and tagged cbz converter, docx to jpeg, epub converter, microsoft office, microsoft word, odt, office image extraction wizard, OpenOffice.org, PPTX Converter. Bookmark the permalink.